On Earth, Kal is raised as Clark by Ma (Diane Lane) and Pa Kent (Kevin Costner), who stress that Clark must hide the super powers granted to him by Earth’s yellow sun. No matter what the cost, Clark must never reveal himself, because the world will hate and fear him. But he just can’t resist the urge to help those in need and, as a result, he embarks upon a nomadic life of aimless wandering until he finds himself working as a porter in a military encampment in Canada. The US military has found what appears to be a 20,000-year-old spacecraft frozen in the ice. 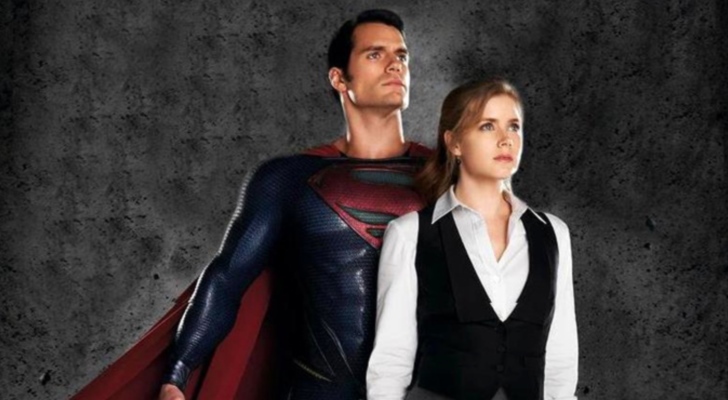 And Daily Planet reporter Lois Lane (Amy Adams) visits to do a story about it. One night she follows Clark aboard, and as he explores, he accidentally activates the ship, and when he saves Lois from a robot, a bond is formed. Discovering that the ship is not only Kryptonian but was designed by his father — it even has an AI version of Jor-El aboard!) — Clark/Kal flies it away and hides it. Jor-El explains that Kal can be a leader and set and example for the humans of Earth — in fact, that’s why he sent young Kal there — but this conflicts with Pa Kent’s insistence that Clark always hide his abilities. Nevertheless, Clark decides to don the uniform of the House of El — complete with S-like insignia that stands for “Hope” — and try to be a paragon for mankind. But just as Clark is struggling to come out and prove he’s no threat to Earth, a genuine threat to Earth arrives in the form of General Zod. In fact, Zod threatens the entire planet unless Kal-El surrenders himself to Zod, who wants the Codex in order to rebuild Krypton — on top of human society on Earth. What should he do? In the final analysis, Clark (and, indeed, the filmmakers) should have done a lot of things differently. And one of the biggest is that a lot of the movie is spent on the idea of suppressing Clark’s heroic nature out of fear that people (and the government) will hate him and do him harm. Far from being taught core values of truth, justice and the American Way, young Clark is tutored to hide, to take beatings and even told to allow other children to die in order to preserve his secret! Contrast this with the standard version of the Superman story in which he is instilled with solid morals by the salt-of-the-Earth Kents. When Clark is called upon to offer himself to Zod, he is ill-equipped to take on the role of hero, so it is thrust upon — with disastrous results for Smallville and Metropolis. In fact, this movie must have the highest civilian body count and property damage by far of any superhero movie — even counting The Avengers. While the Marvel heroes fought a battle in New York City, they actively sought to limit damage and rescue civilians. In MoS, Clark shows a shocking lack of concern for regular citizens who stumble into the path of his battle with Zod. Everyone knows Superman would have moved any fights out of Smallville and Metropolis. This is completely out of character for Superman; even a Superman facing his first battles. Cavill does the best he can with the iconic role, doing his best to make Superman charismatic and likeable even as his mistakes result in breath-taking collateral damage. The Lois Lane role is so underwritten it’s hard to get a sense of her personality beyond Adams’ plaintive eyes. Crowe gets a surprising amount of screen time as Jor-El, and comes off as the best actor onscreen. 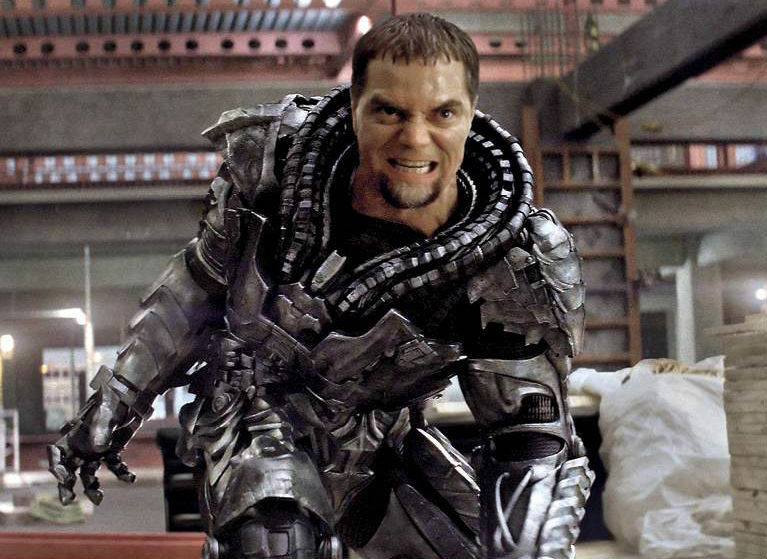 Shannon’s blustery Zod was also a bit shallow, but he is very menacing. The visual effects are impressive, if not truly spectacular. I did enjoy the attempts to show Krypton using a liquid metal technology that was different from anything else we’ve seen depicted in advanced societies. Also different was the depiction of Supes flying, in which director Zack Snyder made it look like the camera had difficulty keeping up with the Man of Steel. Ah, Zack Snyder. The director made some very “different” choices in this film, and most of them did not work for me. The shaky camera technique was a big mistake, making scenes like two people talking in an office nausea-inducing. The narrative pace dragged something awful. It felt like we were on Krypton for the first hour of the movie. And while the storytelling was leisurely, the fight sequences were fast and close-up. Snyder avoided using his signature “ramping” (speeding up and then slowing down the action to show a punch in slow-mo detail), and there were some cleverly designed sequences — like showing Supes punching Zod, then chasing after him in midair so he could punch him again. It also felt like Snyder sometimes lost track of Clark amid a sea of other characters, including Jor-El and Colonel Hardy (Law & Order’s Christopher Meloni) . But the biggest problem was Superman acting so out of character. As the first superhero, Clark is supposed to be the paragon; the best of the best; the template for all the others to follow. But to him here with such a callous disregard for life was shocking. Young Clark was depicted as sometimes caring about others enough to disobey his father and play the hero. But as an adult, with lives on the line and chance to actually be a hero, Clark doesn’t think about others. This is especially wrenching at the end of the movie, when Clark… well, let’s just say he makes a snap decision that I never would have expected. And not in a good way. 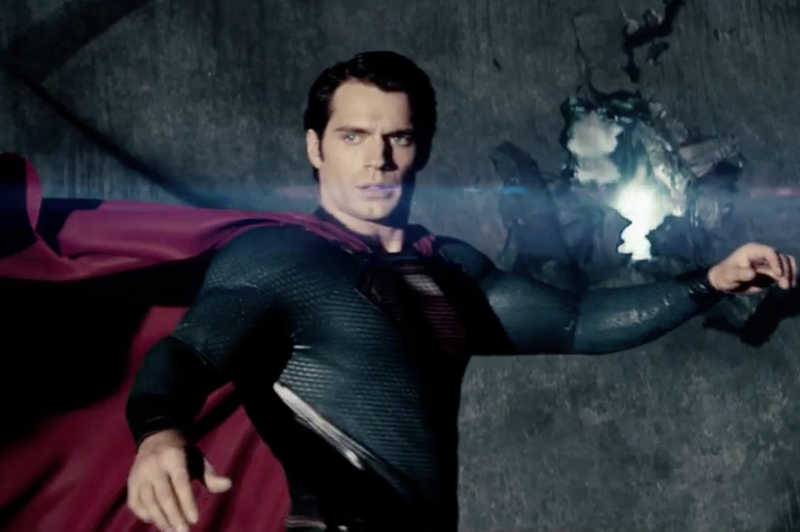 This is not the Superman story that the Man of Steel — and his fans — deserves. This entry was posted in Movie review, Superheroes and tagged Amy Adams, Clark Kent, General Zod, Henry Cavill, Kevin Costner, Lois Lane, Man of Steel, Superman, Zack Snyder. Bookmark the permalink.